This bus is comin'...to your citaaaay! The mothership has Ann Arbor in it's sights...and they're bringing their circus to town. Pardon the copy/paste...but there's not much I can add to this other than it's going to be like adding even more gasoline to the fire that is the hype for the Notre Dame night game on September 10th. I love that Desmond is going to be honored, and I can only assume whatever is planned, it will be everything but retiring his number. BRISTOL, Conn. – ESPN College Football Game Day will make a return trip to Ann Arbor for the first time since the 2007 season as Michigan hosts Notre Dame in the “Under the Lights” matchup Saturday, Sept. 10, the cable network announced today (Aug. 5). The U-M-Notre Dame game kicks off at 8 p.m. EDT and will be televised on ESPN. 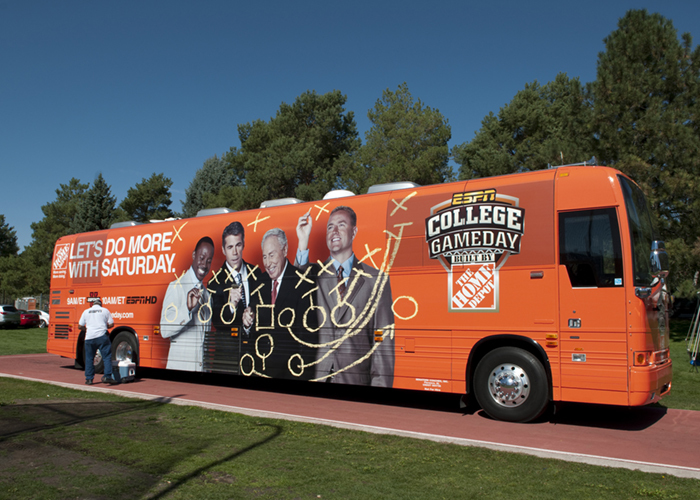 Former U-M Heisman Trophy winner (1991) and current ESPN College Football Game Day analyst, Desmond Howard, will be honored in conjunction with the game. The Wolverines, who are 13-7 all-time when Game Day is present, will be making their first appearance on the morning preview show since hosting Ohio State on Nov. 17, 2007. 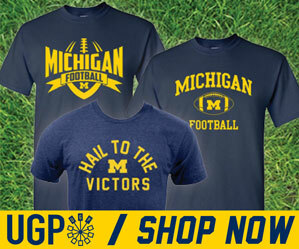 This also will be the 10th time Game Day visits Ann Arbor, as U-M is 7-2 at the "Big House." The Michigan-Notre Dame rivalry has been showcased four other times by ESPN, including twice in Ann Arbor. The last time ESPN was at a Wolverine-Fighting Irish tilt was on Sept. 13, 2003, as No. 5 Michigan defeated No. 15 Notre Dame 38-0. Howard, a 1991 consensus All-American, was recently inducted into the College Football Hall of Fame as the only Heisman Trophy winner in the 14-member class. He became the first receiver in history to lead the Big Ten Conference in scoring and he set or tied five NCAA records and 12 single-season Michigan records during his senior year. 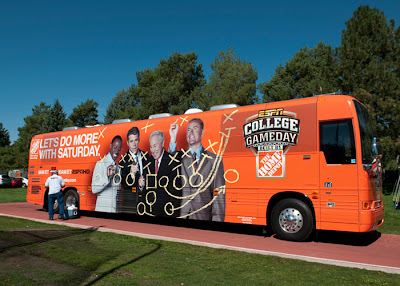 The exact location of the award winning college football show will be announced at a future date. Desmond Howard on the Announcement that Game Day is Coming to Ann Arbor for the first-ever night game against Notre Dame on Sept. 10. The athletic department will be honoring Howard for his induction into the College Football Hall of Fame.